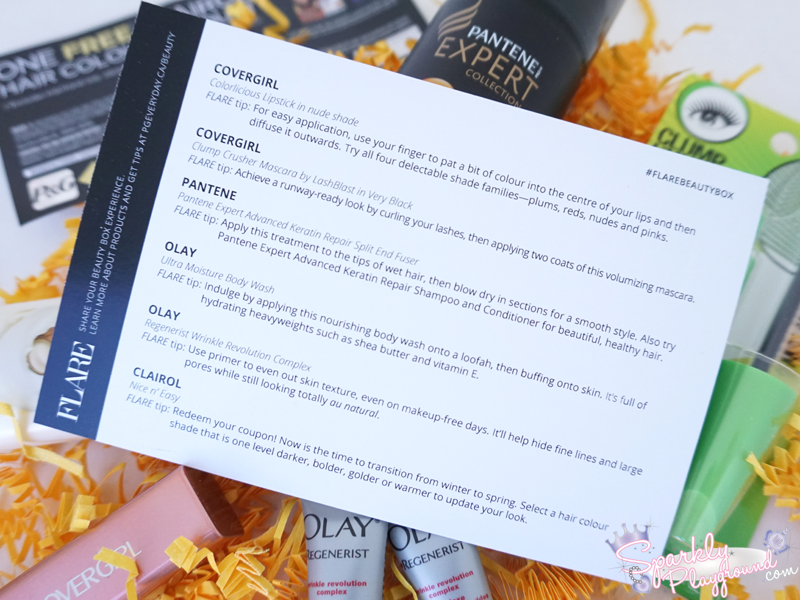 Nowadays, subscription beauty boxes are so popular it's almost hard to nail down which one to start with. Personally, I get really worried over this type of service because of the reviews and how some companies go downhill in their contents after a while. 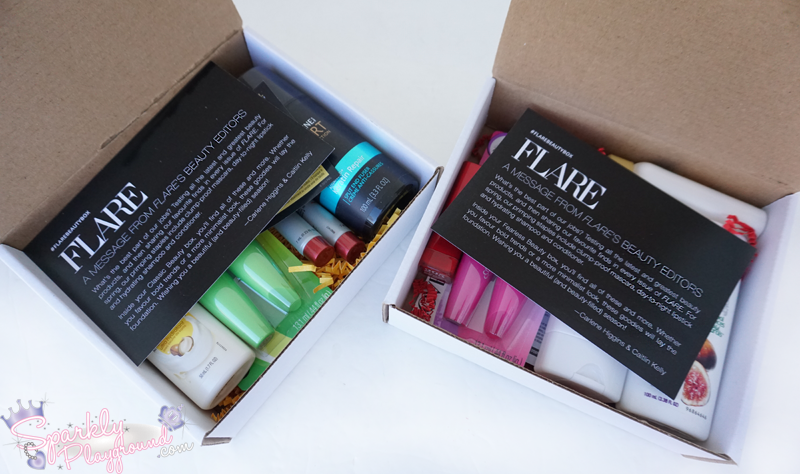 Right now, Flare and P&G teamed up and created TWO beauty boxes specially curated for this season! No strings attached and it's a great way to try some new products out knowing exactly what's in the box! The amazing catch? They are just $9 plus tax a box, shipping included! As a flight attendant, I absolutely love the travel size Herbal Essences Shampoo and Conditioner, and the Olay Body Wash! Those can never go wrong for me. They will work even if you have a small getaway, road trip or camping! The Vidal Sassoon hair dye coupon by itself is worth the entire box, and if dying hair is not your thing, you can easily pass it along. Since both boxes comes with mascara and a lipstick, the preference is up to you depending on the colour you prefer. Personally, this is the box I prefer more as I can see myself getting more use out of all the products. 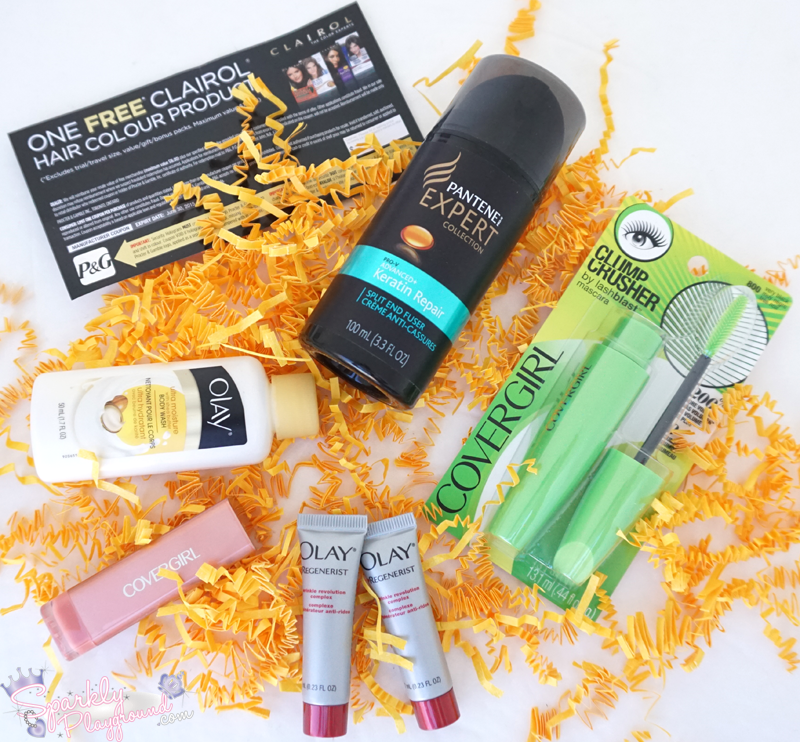 Unlike the Fearless beauty box, Classic only comes with a body wash and no shampoo/conditioner. My hair is surprisingly very healthy because I haven't bleached dyed it in years so the Pentene Split End Repair is not on the top of my list. The Clairol hair dye coupon by itself is again worth the entire box - no complaints there whatsoever. 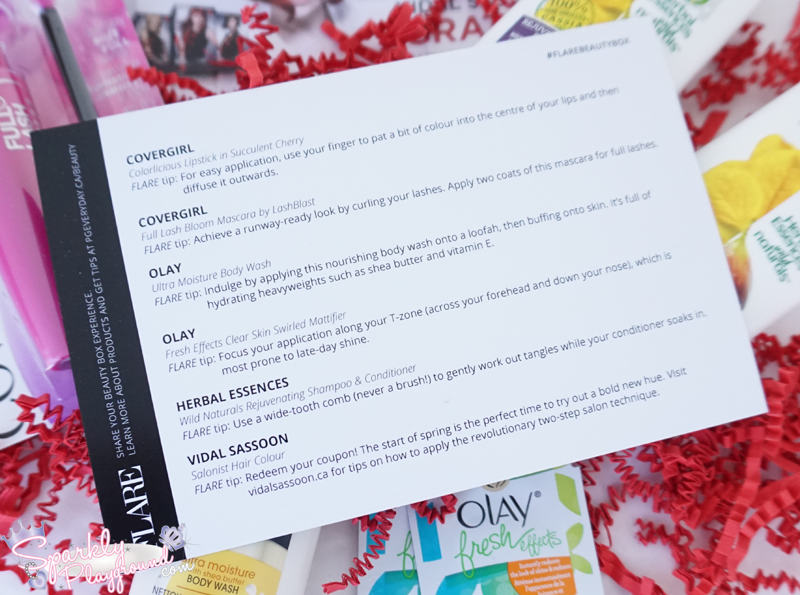 What stood out for me in this box is the Olay Wrinkle skincare products, which my mom easily snatched away from me at lightning speed! Both boxes comes with mascara and a lipstick, the preference is up to you depending on the colour you prefer. Personally, this is the box I prefer less because there are 2 products which are less suitable for me - the lipstick and the hair repair. Considering there are 4 full size products in here though, it is a great deal no doubt!